The fruit for our 2014 Meritage comes from growers across the Niagara Peninsula as well as our very own estate. This blend is made up of 55% Cabernet Franc, 23% Cabernet Sauvignon and 22% Merlot. The layers of this wine are created from aging each varietal separately in 225L French Oak Barrels. We spend time blending all 3 wines together in order to add aromatic depth to the palate. 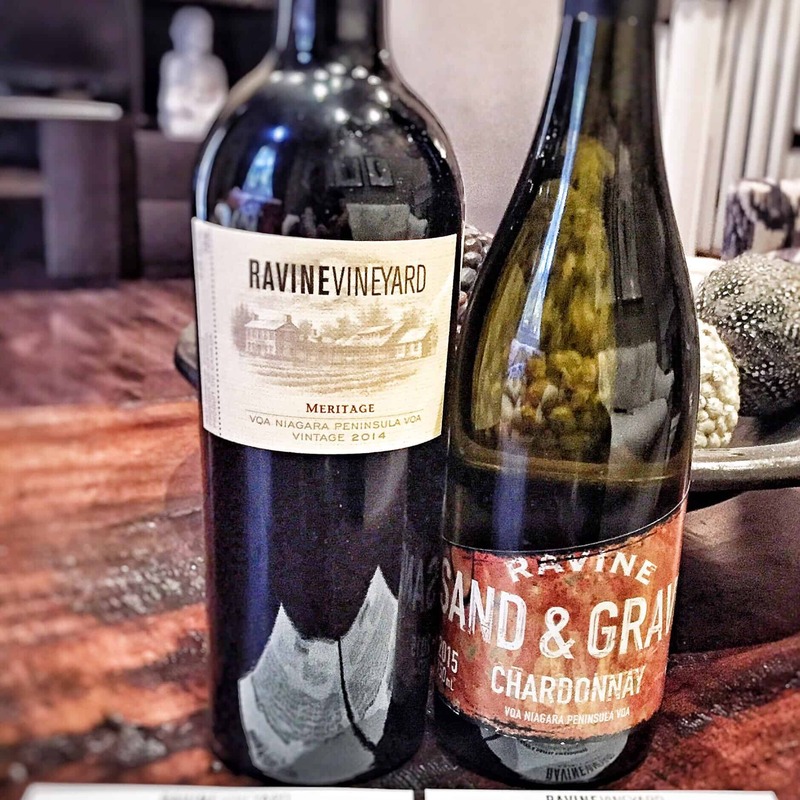 2014 Ravine Vineyard Meritage is a beautiful ruby colour. Enjoy aromas of dark chocolate and black cherry. On the palate it shows well-integrated tannins with a velvety finish. Enjoy lingering notes of black cherry and a hint of vanilla. Our 2015 Sand & Gravel Chardonnay shows the best of both stainless steel aging and French oak barrel aging. With half of the hand picked, wild yeast fermented fruit developing in oak and the other half in stainless steel, this wine captures all the body and richness of a barrel aged Chardonnay while maintaining the fresh and fruity aromas of an un-oaked style: the perfect marriage. This wine has a colour of medium straw and intense aromas of toffee, ripe gala apple and poached pear. The palate is dry, full bodied and round with a mouth coating richness. The 2015 S&G Chardonnay is a wonderful pairing for creamy pastas and soft cheese like camembert or brie. Another one of our tastings during the week from Peninsula Ridge Estates Winery. This retails for $14.75 and can be purchased in the liquor store. A blend of 17% Merlot and 83% Cabernet Sauvignon. Each variety was fermented and barreled separately. Cold soaked before fermentation and fermented at cool temperatures to extract optimum flavours. 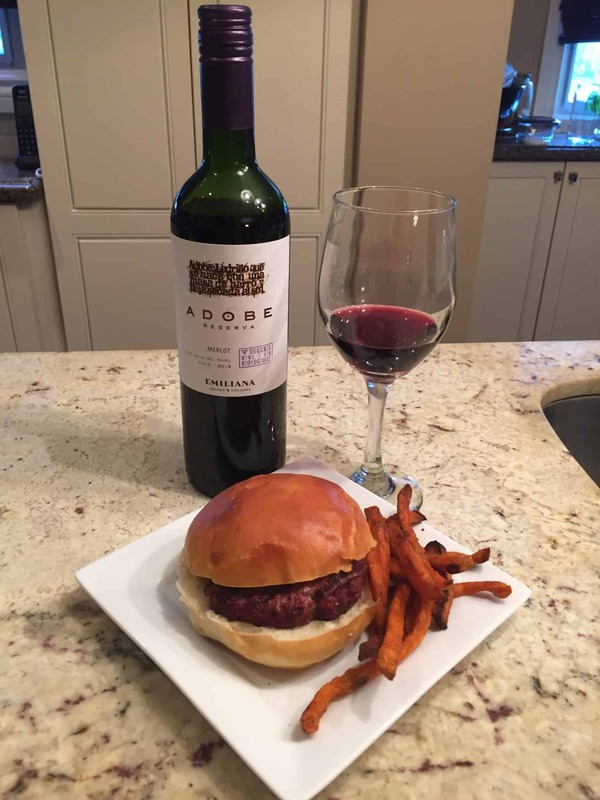 The 2015 Cabernet-Merlot is an easy to drink wine with supple and lithe tannins that support lovely flavours of black raspberries and cassis. Easily matches to red meats and hearty cheeses. When entertaining serve alongside a lamb kebob or BBQ’d flank steak and impress your guests! 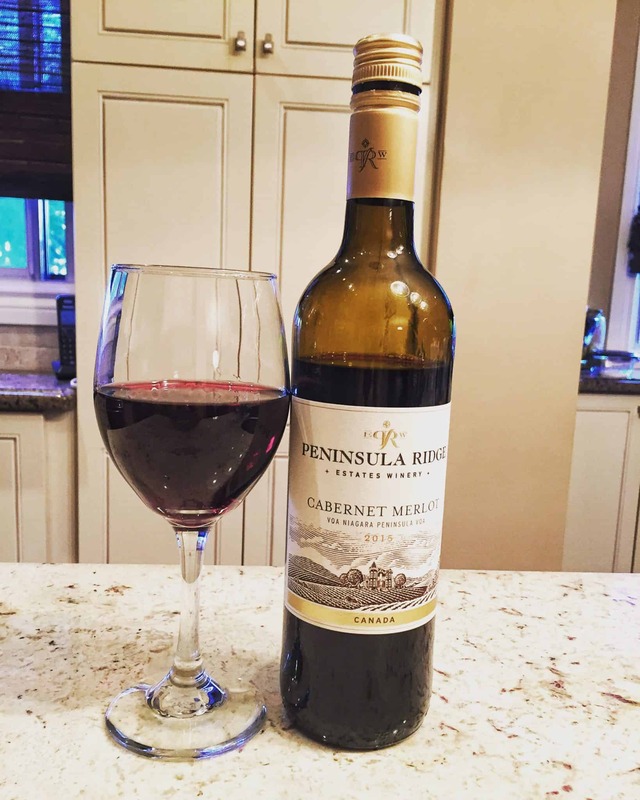 The Cabernet-Merlot is a general list product at the LCBO, with the 2015 vintage currently on store shelves. Drink now or cellar up to 4 years. 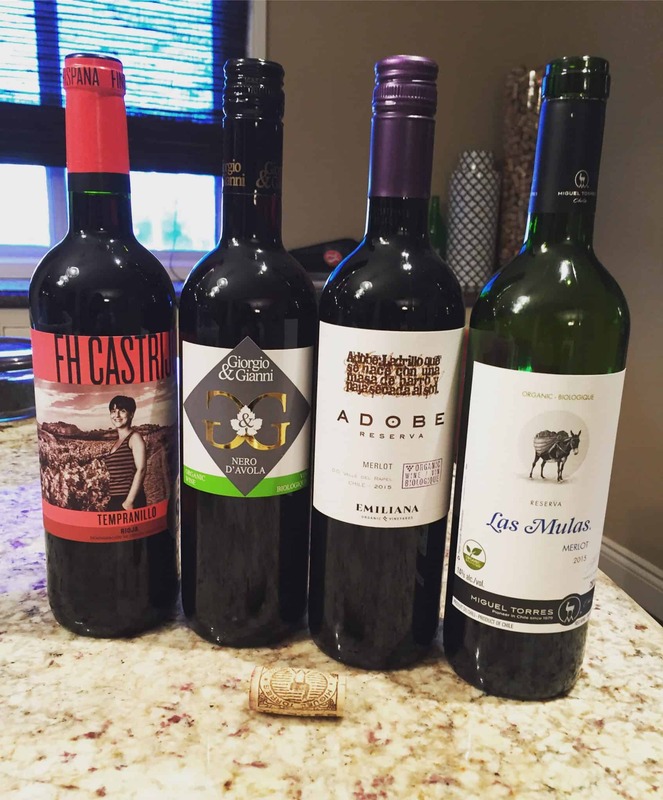 The Adobe Reserva Merlot is an organic wine my husband picked up at the LCBO for $13.10. This is a wine from Chile. The burger is a home made burger and it was yummy. Ruby coloured; moderate aromas of ripe blackberry, cedar and spice; dry and medium bodied; flavours of rich blackberry and a spicy, cedar finish. 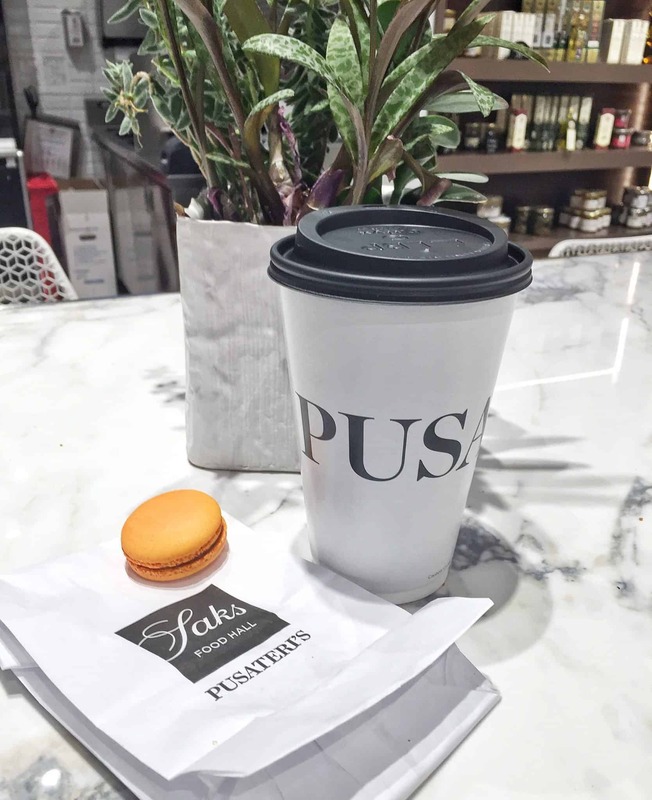 I’m loving Pusateri’s coffee and their Macarons. 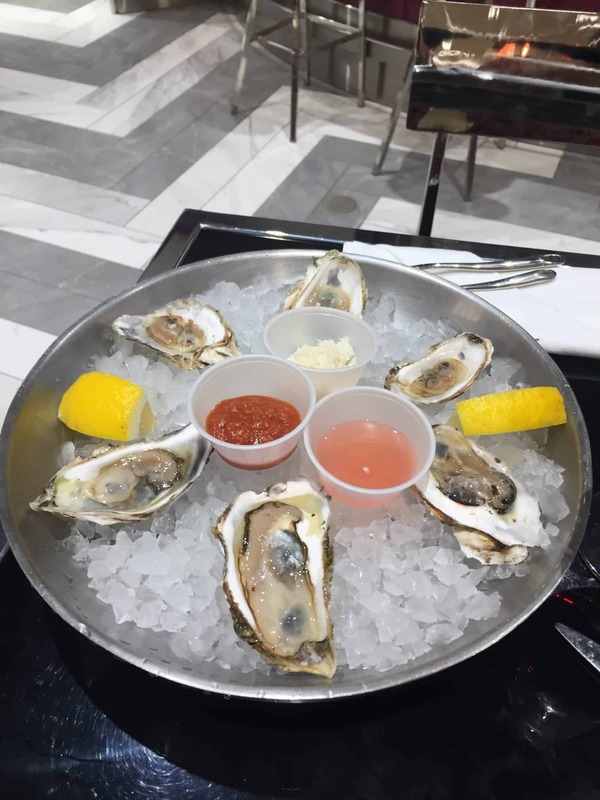 We decided to try food at Pusateri’s champagne bar. 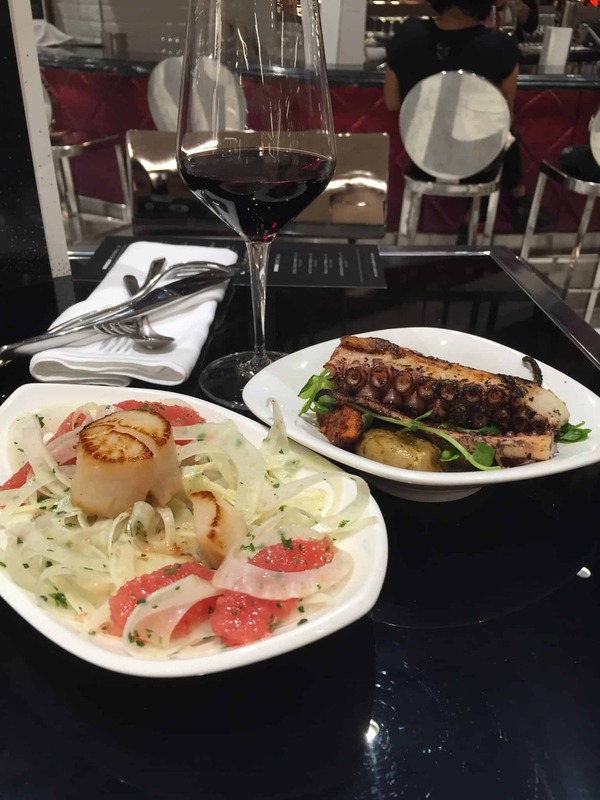 I had the seared scallops over fennel and grapefruit salad and my husband had the grilled octopus with potatoes. Both were delicious. It was oyster night $6 for 6 oysters. They were addicting. 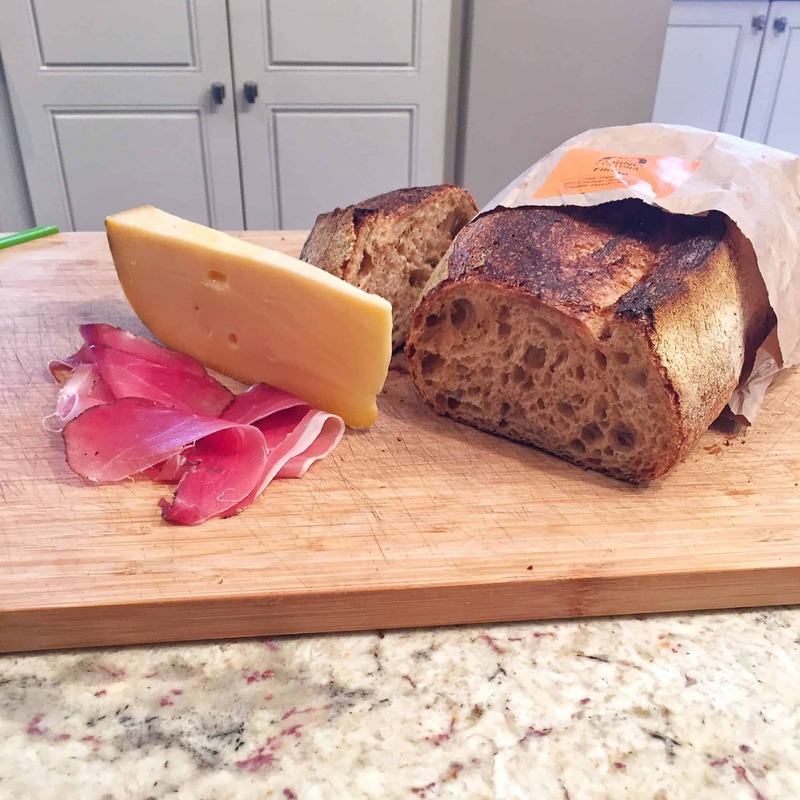 My husband loves always picks up the bread at Pusateri’s that is from Forno Cultura with some nice spek (smoked ham) and Beemster cheese. Some additional wines we enjoyed over the Thanksgiving long weekend. Finca Hispana Satrijo, Rioja Crianza Tempranillo from Spain $13.55. 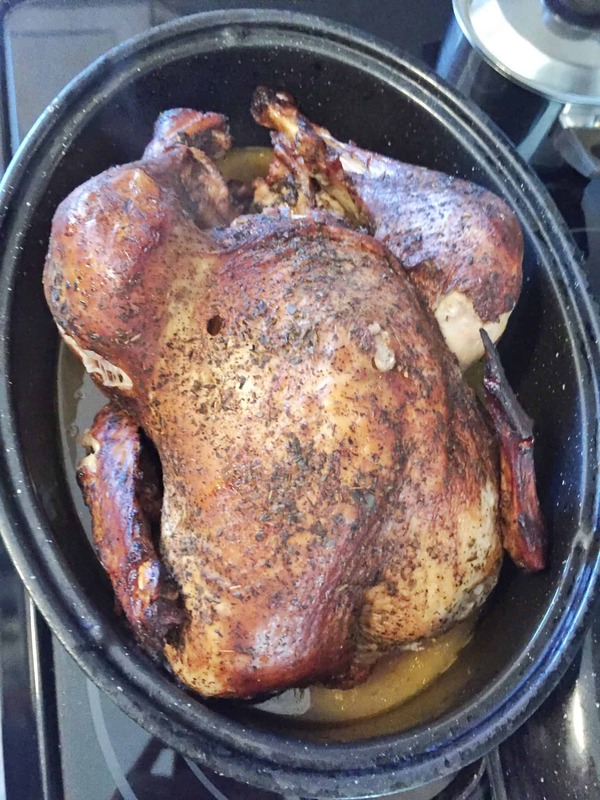 and our yummy turkey from Thanksgiving! How does the monthly wine club works? (Sound like a club for me haha) and all that food looked amazing. I havent been to Pusateries just yet, dying to try it tho.